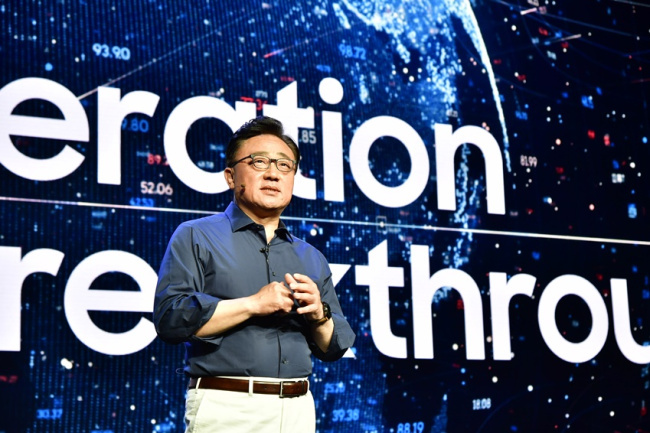 Koh Dong-jin, CEO of Samsung Electronics’ smartphone business, is making all-out efforts to seek a breakthrough in the company with the introduction of the 10th edition of the Galaxy and the world’s first commercial foldable smartphone. The message comes amid rumors concerning his position, as the tech giant approaches its year-end personnel reshuffle and organizational restructuring. Koh was reportedly criticized for weakening competitiveness of Samsung phones by Vice Chairman Lee Jae-yong, who ordered improvement in camera technology for the smartphones after personally visiting a shop in Europe. “Koh’s message appeared to show how much of a critical position Samsung’s mobile business is in at the moment. The atmosphere within the company is currently serious as we hear outside criticism toward the products,” said an insider. Samsung recorded 2.2 trillion won ($1.95 billion) in operating profit for mobile business in the third quarter, down more than 30 percent from the previous quarter. However, a senior Samsung official cautioned against overanalyzing, and said the reported comments from the vice chairman should not be taken out of context. Samsung has vowed to overcome the current situation it faces at home and abroad arising mainly from the saturated smartphone market with the launch of the 10th edition of its flagship Galaxy smartphone and the world’s first foldable smartphone early next year. While the Galaxy 10, or X, is rumored to be the most bezel-free phone with the world’s first in-display fingerprint screen, the Samsung foldable phone -- rumored to be the Galaxy F -- is expected to feature in-folding technology based on a hinged device with three organic light-emitting diode display screens. Both of the new phones are also expected to feature Samsung’s neural processing unit processor, believed to be the most capable for artificial intelligence. The Galaxy 10 and foldable phones are expected to be unveiled in February and released to the market in or around March.